What Happens After a DUI or DWI Arrest? 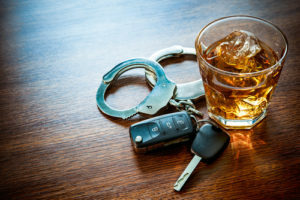 A person arrested on suspicion of driving under the influence (DUI) or driving while intoxicated (DWI) and their loved ones may wonder what happens after the arrest occurs. The first appearance an arrested person has before a judge is called an “arraignment.” Arraignment usually happens within a few days after the arrest. At an arraignment, a defendant is told what they are charged with and given the option to plead guilty, not guilty, or nolo contendere (no contest). Entering a “not guilty” plea at arraignment gives you time to find a lawyer and investigate your case; you can always change your plea to not guilty or no contest later if you choose. Typically, bail will be set during arraignment as well. You may be required to pay a certain amount or released on your own recognizance. You may also be required to comply with certain conditions during your release, such as not driving, avoiding alcohol or drugs, and obeying all laws. You have the right to ask for an attorney at your arraignment. If one is not appointed for you, however, you will need to seek an attorney’s help on your own. Look for lawyers who have experience defending and winning cases involving DUI or DWI charges. Asking for a trial before a jury or before a judge alone (also known as a “bench trial”). Even if you failed a breath or blood test, your case may not be as “open and shut” as you think. Talking to a lawyer is an essential first step. Fighting a DUI or DWI charge can be complex. An experienced criminal defense lawyer can help. To learn more, contact the attorneys at Rudnick, Addonizio, Pappa & Casazza today. Call us locally at 732.264.4400 or toll-free at 866.567.0135. The Dog’s Owner Says I Caused the Dog to Bite Me. What Do I Do?